D-Day - June 6, 1944 - was a pivotal day in human history. This was the great turning point of the Second World War, when the largest armada ever assembled took a third of a million Allied men across the English Channel. The invasion force of 150,000 troops from Britain, the United States, Canada and many other nations fighting on the Allied side on D-Day under the command of Generals Eisenhower and Montgomery landed on five beaches to spearhead Operation Overlord, the invasion of German-occupied mainland Europe. On Omaha, Utah, Gold, Juno and Sword beaches they fought through what has been described as ‘the longest day’ against deadly German firepower but many sadly would not live to see the end of the day. 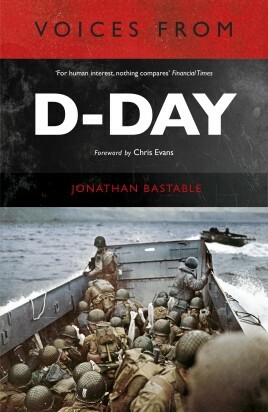 This new paperback edition of a classic account of D-Day told through firsthand accounts brings vividly to life the bravery and skill of the young men called to fight to liberate Europe. For many it was their first experience of combat and it would change their lives for ever. The accounts are taken from letters, diaries and interviews and range from generals and politicians to front-line soldiers and civilians. The accounts in this book tell the whole story of D-Day from the meticulous planning of the four years following the retreat at Dunkirk, the invasion armada, the fighting on the beaches and the first foothold in France, the hard-fought progress through the ‘bocage’ countryside of Normandy before the German army was surrounded and the Allies could breakout at speed and sweep through France to the German border, not forgetting the role of the home front throughout the campaign. Even today there are many reminders of D-Day that visitors can see on the beaches of Normandy and in the towns, villages and cemeteries inland. 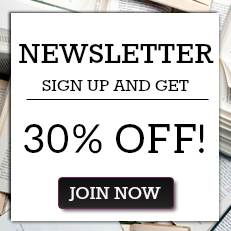 Jonathan Bastable began his career as a feature writer for the The Sunday Times Magazine, and spent several years as a correspondent in Moscow. His work has appeared in many newspapers and magazines, including The Sunday Times, The Scotsman, Wallpaper and Time Out. He has written on foreign destinations for Condé Nast Traveller and other magazines, and is the author of a number of books, including Voices From Stalingrad: Unique First-hand Accounts From World War II’s Cruellest Battle, Voices From the World of Samuel Pepys, Amazing & Extraordinary Facts: Prime Ministers and his first novel, Devil’s Acre: A Russian Novel.Chris Evans is a military historian, author, and editor. He was the advisor on a television documentary on the First World War and conducts First and Second World War battlefield tours in Europe. As an editor, he created the Stackpole Military History Series, publishing over 200 titles. Chris lives in New York City.